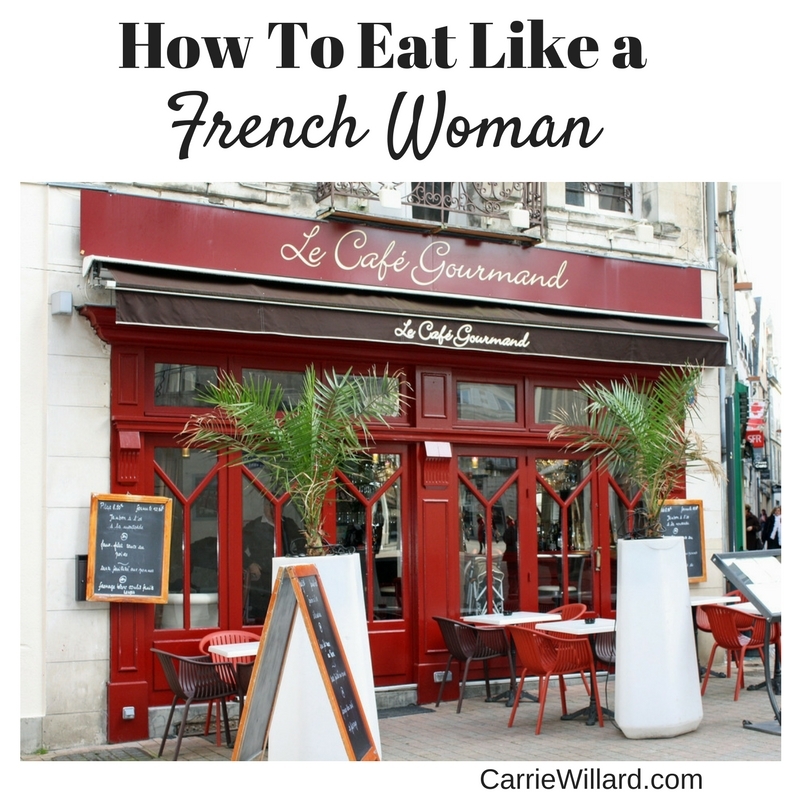 This post is about how to eat like a French woman, but let me first start by explaining why I wanted to write about this topic. I spent hours and hours poring over its pages. I fell in love with imperfect hair, red lipstick (my trademark for years), sunglasses and black ballerina flats. I admire French girl street style and attitude. The book is long out of print, but available on amazon.com. And I’ve never actually been to France, but it is a goal and dream of mine. Now let’s talk about how to eat like a French woman. No matter what you think of their politics or their people, no-one can dispute that the French have eating figured out. The real “paradox” is that French women are far less concerned with “healthy eating” and macronutrients, and far more interested in the pleasure and social aspects of food. Yet, they are less likely to be overweight and don’t suffer the anxiety and even orthorexia that can come from an obsession with healthy diets. In her book French Women Don’t Get Fat (that’s my beloved copy above), author Mireille Guiliano tells us all about the eating habits and philosophies of les femmes. Forget counting calories, fussing with percentages and most of all DIETS that require you to go around hungry all the time. Low-calorie diets cause you to lose muscle mass, which leads to weight gain once normal eating is resumed. Dieting is unsustainable. Eating for pleasure includes all the senses: setting a lovely table, arranging food in an attractive way, and eating it with people you love. French women don’t forbid any food. Alcohol, fats, carbs (hello baguette! ), sweets – these are all okay periodically. Calling certain foods “bad” leads to a cycle of craving, binge eating and feelings of failure, guilt and general pathos around eating. Balance is needed. If you indulge in high-fat foods or sweets one day, enjoy them without guilt! The next day, a French woman might prepare a light, delicious leek soup for lunch and supper to balance out the calorie load of the day before. Real food is what your great-grandmother would recognize as food. French women don’t sweeten things with fake sweeteners. They use real butter, not fake trans fats. They eat vegetables and whole grains and don’t avoid meat, an important source of protein that fills and fuels you. Eat full fat dairy products in small portions. Real food means shopping more frequently, finding local food providers like farmer’s markets, farmers, butchers, fishmongers. It may mean (yikes!) spending a little more money on food for better quality, which may leave you happy with smaller portions. Interestingly, Europeans (and indeed, everyone in the world) spend considerably more of their income on food than Americans. Why do we shy away from spending more money on quality food but don’t mind dropping $5 for a fancy, super-sweet coffee? French families eat out far less frequently than Americans do. Perhaps we should reallocate some of the restaurant and Starbucks budget on real food? Another interesting tidbit: French woman have the highest fecundity rates of all European women and have more kids than the average American, but don’t struggle as much with retaining pregnancy weight. French mothers (and really the entire culture supports this, there are even branches of government devoted to this goal) place great emphasis on educating their children to eat a wide variety of foods. Especially vegetables. Kids are taught not to refuse anything at table. Try experimenting with vegetables rarely eaten by average Americans: things like leeks, kohlrabi, turnips. The first time I made my children leek soup, they loved it! Strangely, I grew up eating leek soup regularly and yet had never thought of feeding it to my kids. American parents are taught that kids are picky, but French parents are told to educate their children’s palates. See the subtle but important difference? No eating between meals. French women do not snack randomly. The 4:30 goûter is acceptable, but mostly for children. They also do not eat in cars. They do not eat standing up, while watching TV, browsing the internet, checking email on their phones. Sit down and eat properly! Using a cloth napkin and real plate are best. 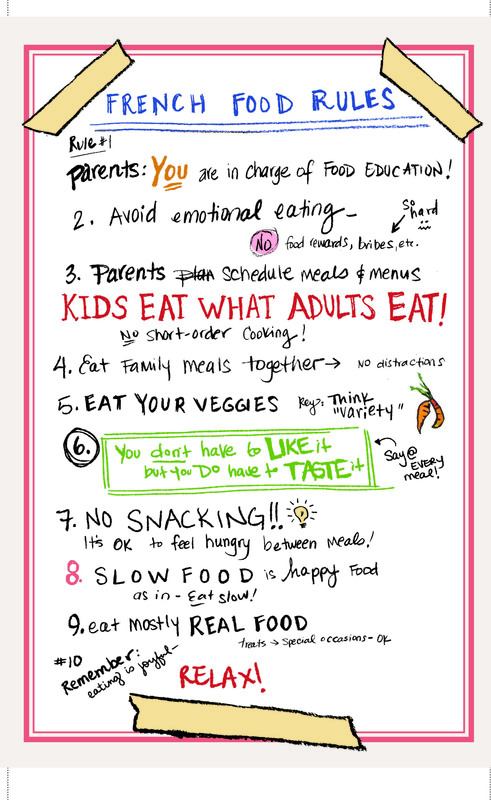 6) Eat Mindfully, Slowly. Savor! This one is probably the hardest for me. I have always been a fast eater, so I have to remind myself every single day to slow down. One thing that works for me is to eat with my fork in my left hand, or to flip my fork upside down and eat like the French do (with my knife in my right hand, fork in my left). I now eat pizza with a fork just so I don’t wolf it down. It takes our brains 20 minutes to register satiety, and if we eat faster than that, we’ll eat more. Eating mindfully and slowly means you eat less and enjoy it more. Low fat? Bien au contraire! Low fat means fake food (see rule #3). Eating fat means you feel full and stay full longer. Low fat eating causes some people to crave sugar, and many women are experiencing health problems due to a low fat diet (such as infertility, disappearance of libido, dry skin and hair, depression, etc). A French woman wouldn’t be caught dead donning yoga pants and schlepping to the gym. But she does walk (or bike) everywhere! Incorporating more movement into your life is less stressful and more realistic than starting or keeping up with a complicated exercise program. Walking is probably safer and cheaper too, as well as environmentally friendly. A daily walk outside or a bike ride will do more for your waistline and mood and happiness than an unused gym membership or goofy workout DVD, and you don’t have to buy special exercise clothing. 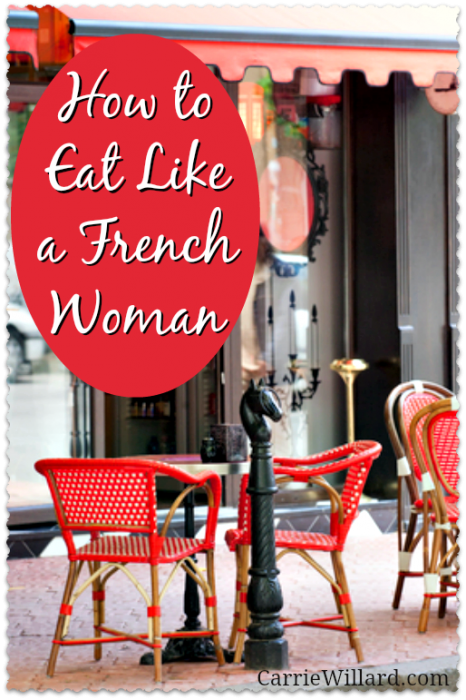 Those are the things I’ve learned about how to eat like a French woman. Do you have any of these habits? What benefits have you noticed? My review of Bringing Up Bebe – what can we learn from French mothers? 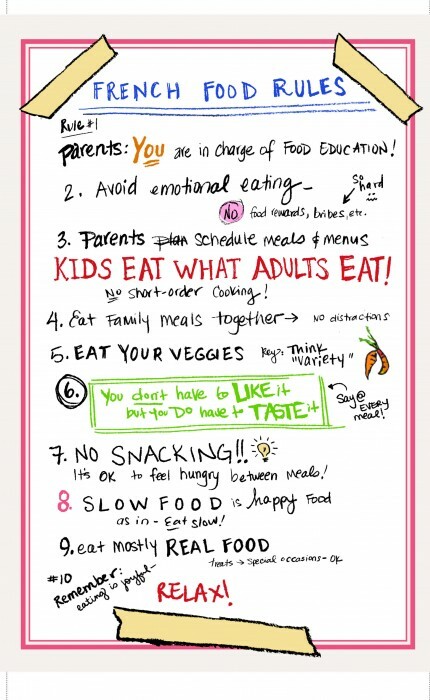 These all sound like the way I eat except for 5 and 8. On that last one, I like going to the gym or running and the way I feel when I’ve got those seratonins flowing through the day afterward. On eating only at meals, I tend to bring a sack lunch to work and eat it throughout the day: 3-5 pieces of fruit and some sort of carb (today it’s a huge slice of leftover pizza, but someitmes it’s a couple of muffins or granola bars). P.S. Followed you over from Anne Bogel’s place. I just found your blog and I love it but I can’t find where to subscribe to it for updates. Btw, the snacking one was hard for me at first to give up, because I tend to have a bit of hypoglycemia and I thought my kids could never give up snacking. Funny thing though, I had read a famous pediatrician (who is from Georgia and lived to be 103 – Dr. Leila Denmark) who said snacking was bad for kids because it made them eat poorly at meals (precisely why the French ban it for kids) and contributes to tooth decay. Then my 11 year old son’s dentist told me not to let him snack because it was giving him cavities. Even healthy foods! 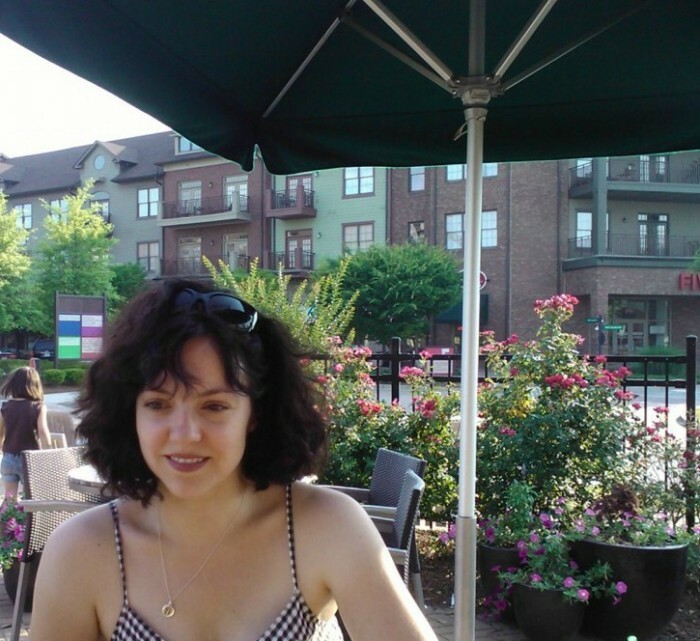 Sorry I just began re-doing this blog (it’s several years old and I’m trying to resurrect it!) and haven’t set up my feed yet. But if you enter http://www.carriewillard.com into your feed reader of choice it should work. I just did it for my google reader, and it came right up. Correction: I just double checked and Dr Denmark lived to be 114. At her death she was the 4th-oldest verified living person in the world and the 3rd-oldest verified living person in the United States. I just found your blog and looked at your books. They look like they’re right down my alley! I have four kids that I homeschool, and I work from home, so we have a bit in common. I’m also a planner, ALDI shopper and real food lover! 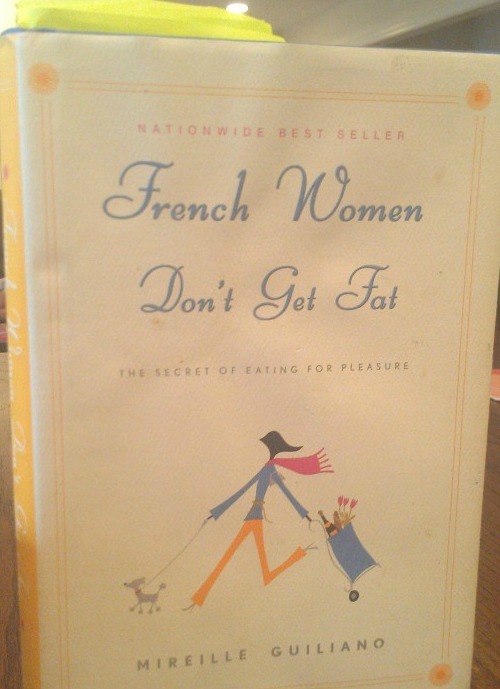 I also just read “French Women Don’t Get Fat” and loved it! My kids and I often have a “French lunch or breakfast” and I serve it on china in courses for fun. They get quite a kick out of it. I’ll be following your blog and checking out your books. Great to “meet” you Jennifer! 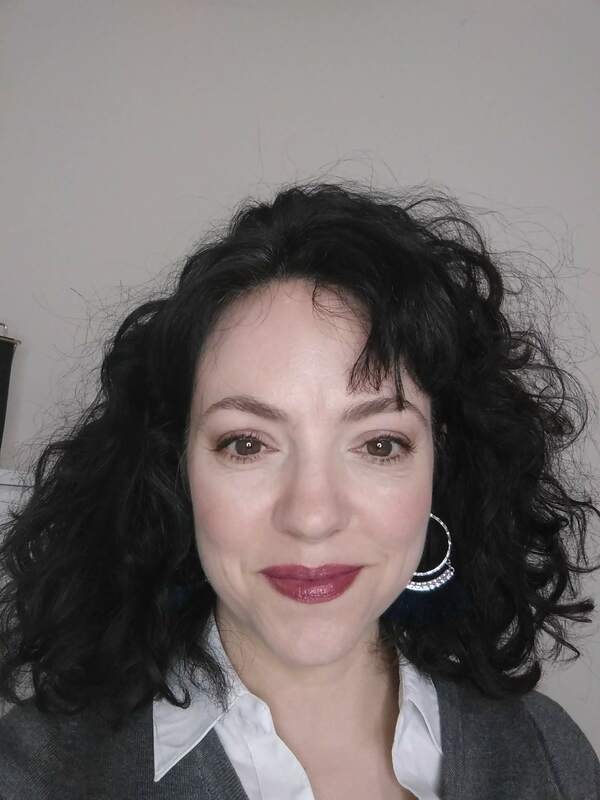 So apparently, I already eat like a French woman–I eat what I enjoy, without counting calories, maintaining a balance between healthy and luxurious over a period of days; I don’t “exercise,” I take lunchtime walks that I relish every day… I knew I should have been European! The only thing I have to master is not snacking, which is something I do more when I’m stressed! I also have that book! Love it! (It didn’t help me with my weight, though! )’ I am more like the plump, Italian grandmother! (Sigh!) I dream of living in France and living like the French do! As an American who’s lived in Paris for 15 years, I feel like I should point out that plenty of French women do all of the things you’ve said they don’t do and plenty don’t do the things you’ve said they do. These sorts of books deal in absolutes because presenting a hardline, alternative lifestyle sells more copies than reality, which is a lot more nuanced. It’s true that the French–for the most part–don’t eat out as often, and that the ingredients tend to be less processed. (Although that’s changing. The entire time I’ve lived here, there have been grocery stores dedicated solely to pre-made, frozen foods, and they’re quite popular with busy families.) But French women absolutely calorie count and go to yoga classes and the gym. Plenty of French kids are picky eaters who talk back. American expat authors like to try to sell a fairytale to their fellow Americans back Stateside–it’s typically grossly exaggerated. When Burger King reopened its doors here a few years ago, people were waiting in line for HOURS to be served. McDonald’s, KFC, Subway, Pizza Hut, Dominos, Five Guys, Starbucks, and even Stake’n’Shake all do plenty of business here, too. Overall, it’s still a world better than American habits, but the whole “French women would never dream of fill-in-the-blank” is patently false. I would have to agree with the previous commenter! I married into a French family, and there are MOST DEFINITELY weight issues, heart disease (my French MIL just had a stroke at 74), gluten and dairy intolerances, cancers, etc. I don’t hear about anyone getting diabetes, but the other things, YES. The French DO go for daily walks and runs to stay in shape, especially those who don’t live in the cities. They DO have picky kids (my husband who grew up eating a French diet will choose American junk food over healthy French food any day, and avoids eating veggies as often as possible unless they are covered in salt and cheesy or ranch dressing). I think that book should by more accurately titled “Parisienne Women Don’t Get Fat,” as it is most reflective of the Parisienne lifestyle which is very fast-paced, walk-everywhere, higher-stress, all things that burn a lot of calories. There is a difference between eating a high fat diet (such and Keto and Paleo) and simply eating small portions of fatty foods. The French by default eat a lower-fat diet because they not eat cheese like Americans do. Nor do they eat large portions of fatty desserts, and they don’t drown their coffee in cream or their toast in butter. They DO limit fats simply by default of eating TINY portions of fatty foods because things like butter, cheese, cream, and eggs are significantly more expensive than in the U.S. the French are still very self-controlled with their eating instead of OVER-eating like Americans. French farm families who have way access to milk, butter, cheese, etc (the fatty foods), ARE overweight. I know this because this is the family I married into. The women are all overweight except for the ones who have gluten and dairy intolerances. Because they’ve had to cut dairy out, they lost weight. Thanks Crystal! Yes I have read Jennifer’s book. Thanks for your observations! Great article. I can recommend this to my wife. She doing ketogenic meal ad i can ask her to read about this.